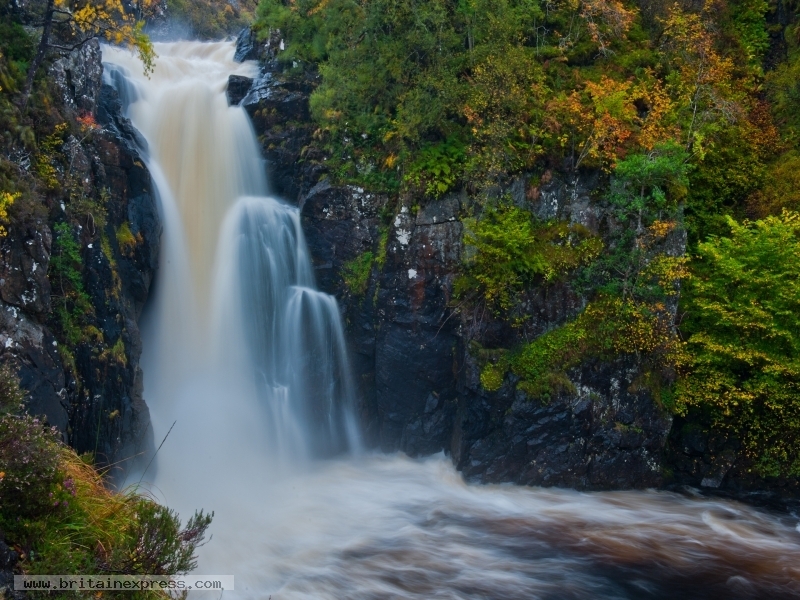 The Falls of Kirkaig is a wonderfully scenic waterfall on the River Kirkaig, southeast of Lochinver, Sutherland. To reach the falls you have to take the minor road from Lochinver to Inverkirkaig and park at the signed parking area at the end of the road. From there a well-trodden trail leads along the river for about 45 minutes to the falls. The same trail is often used by climbers tackling Suilven, one of the most impressive of the Sutherland mountains.